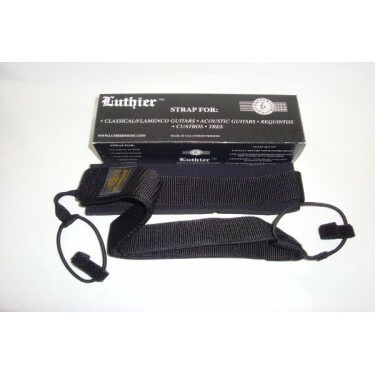 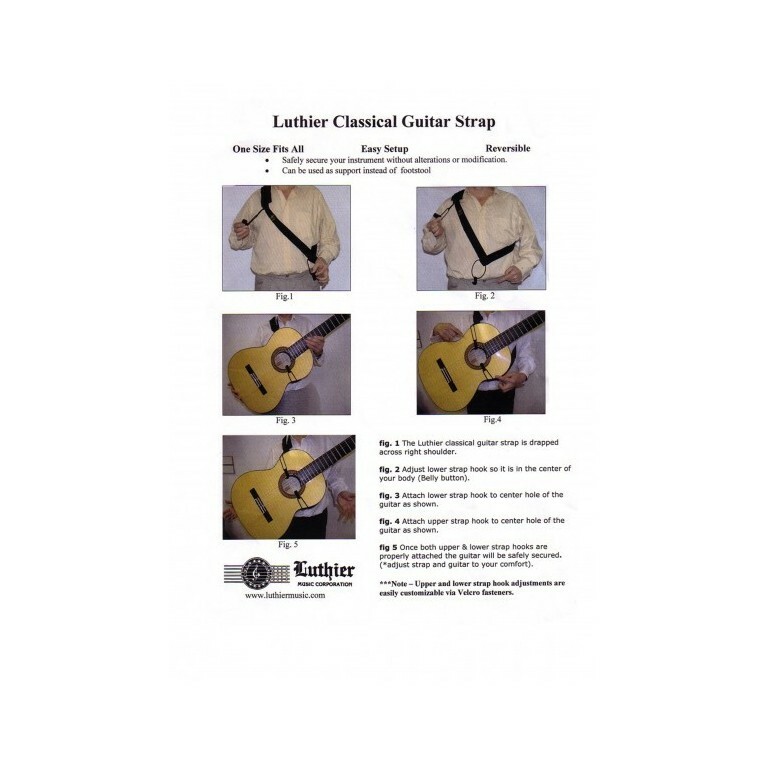 The Luthier Strap - LUSTR-01 secure safely your instrument without alterations or modification. 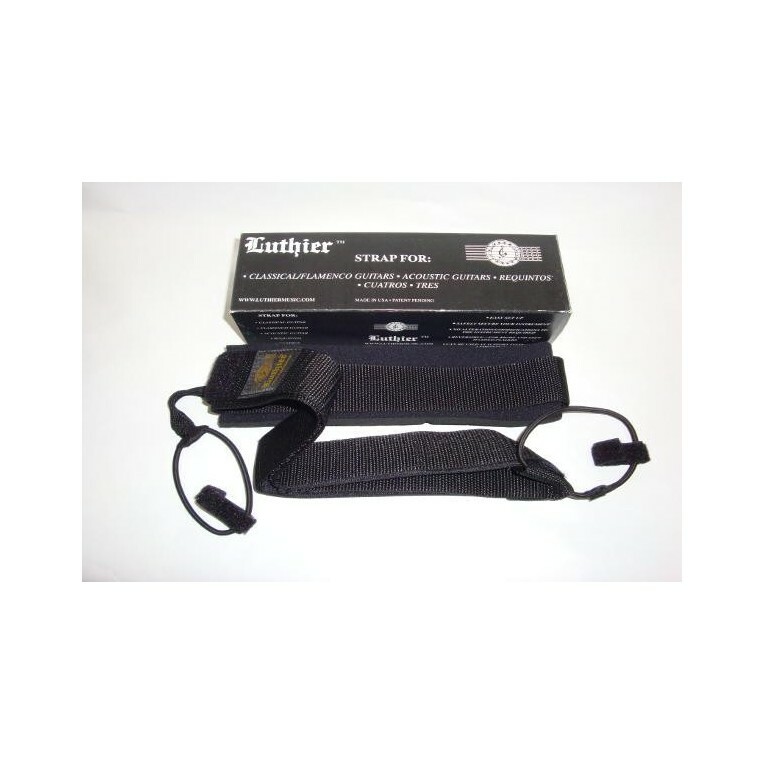 Can be used as support instead of the footstool. 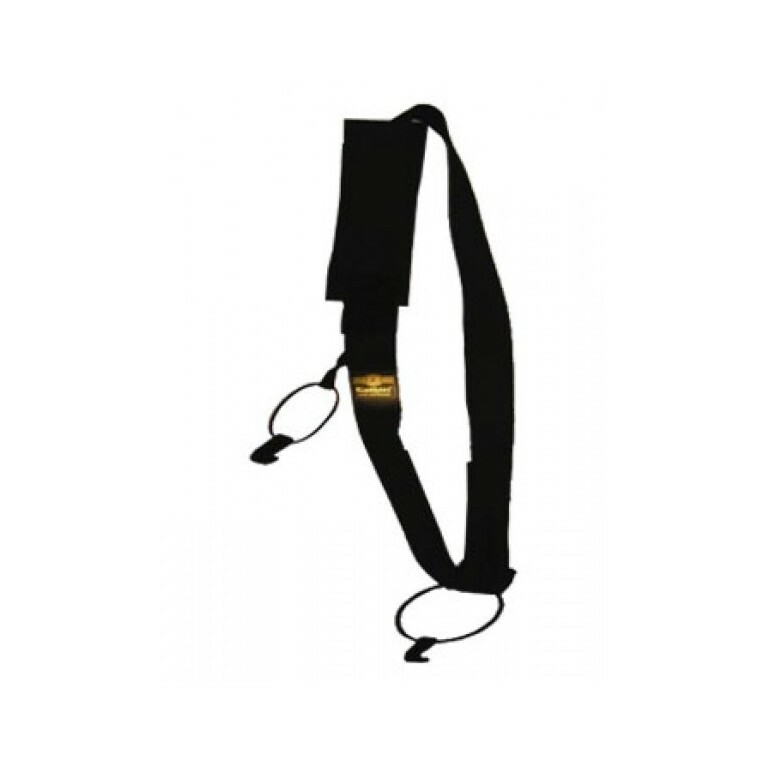 The upper and lower strap hooks, are easily customizable using Velcro fasteners. 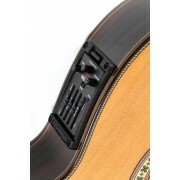 Can be used with Classical, Flamenco and Acoustic guitars, Acoustic Bass, Requintos, Cuatros, Tres.